Regarding the finish on the interior wood beams, and comparing that to the window/floor colors. You have beautiful octagonal room in the “Main House” (https://www.vermonttimberworks.com/wp-content/uploads/2013/07/homes-breed-estate-interior2.jpg) which has a warm richness that I love. I know it’s a long shot, but would you happen to know the stains/finishes used on the beams and windows and floors in that project? Are they stained at all or just poly?? Oiled first? Thanks a million for any information you may have on that room. Thanks for the nice words – we did that project in 1989, but I might remember the stain, oddly enough. It was definitely boiled linseed oil on the beams (not recommended because a fire was caused in the same house by rags spontaneously combusting when the home owner left them in a pile of them in the middle of the room. Linseed oil is also prone to mold). I think Minwax Ipswich Pine was on the trim. We still use Minwax products today. I would use a Minwax Natural for the beams now. Oily rags are still a fire hazard, make sure you dispose of them properly after they have completely dried out. If the wood is dry, like douglas fir, you could apply a coat of Minwax matt spar urethane over the stain. 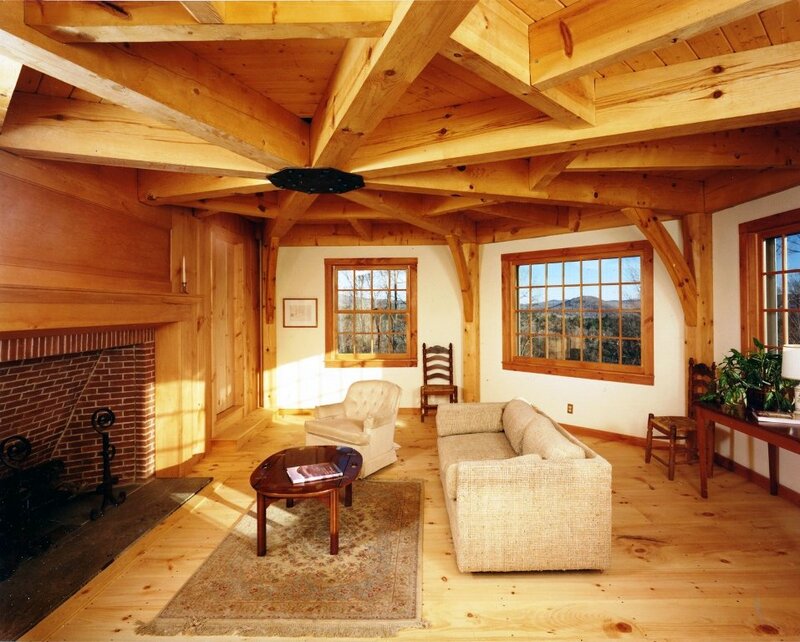 For native beams, like hemlock or green pine, you would need to wait for a few months before applying urethane.